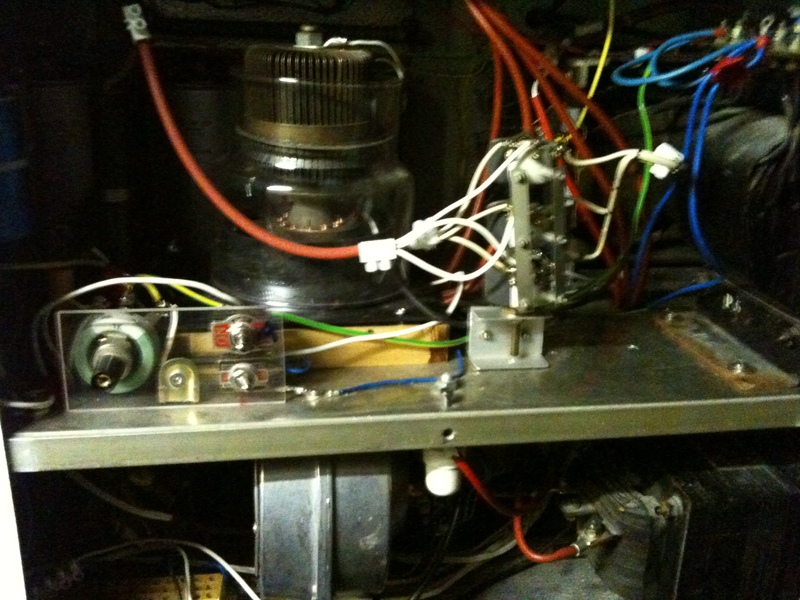 A little while back I wrote about the lovingly handcrafted AM transmitter being built onboard the Radio Seagull ship Jenni Baynton during the summer. Now I am pleased to report that you will be able to hear it in action. 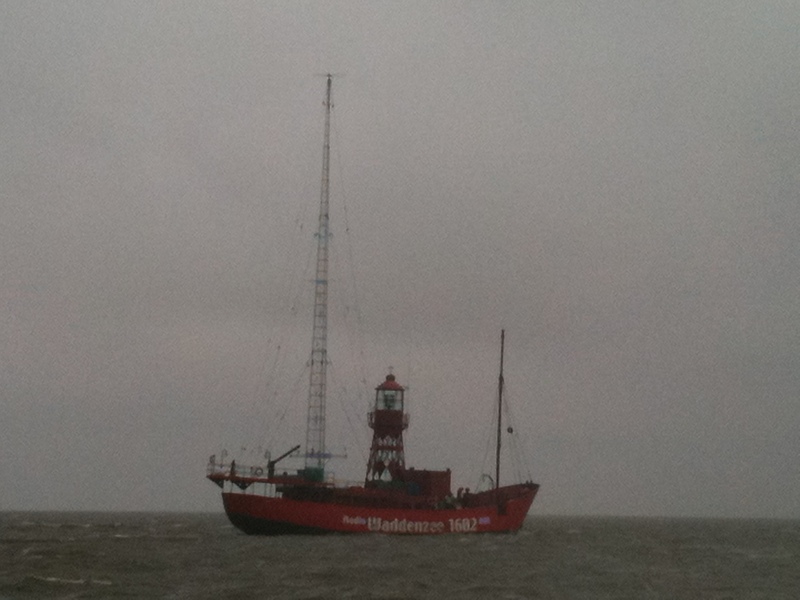 Starting tomorrow, 1st October 2011, the ship will be used for test transmissions on 1395Khz AM at various power levels, for a number of weeks. During this time, the programmes of Radio Seagull (already available on 1602Khz AM) will form the content of the test transmissions. 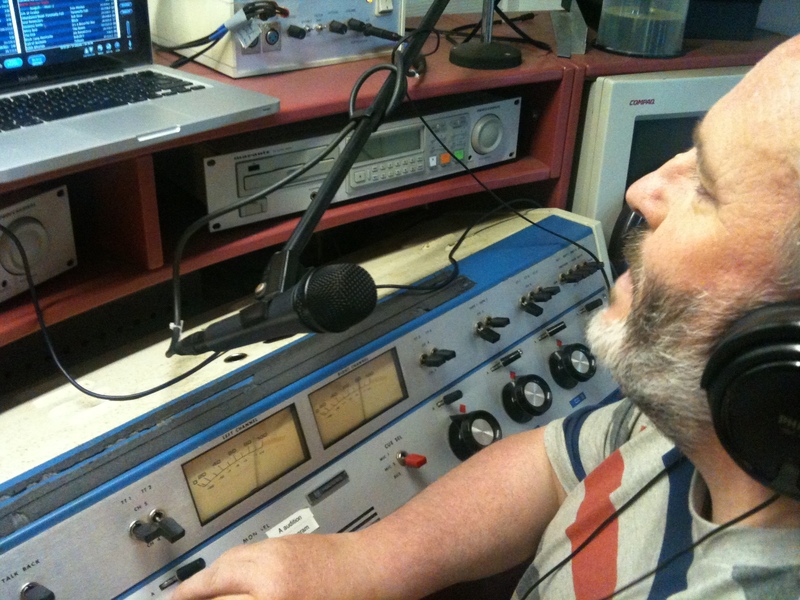 These tests will run 21 hours a day, as due to international agreements the frequency 1395Khz cannot be operated in The Netherlands from 2000-2300 CET (1900-2200 UK/Irish time). As these tests will be at times on higher power than the existing 1602 service, you may find that you are able to pick us up further afield than usual. Reception reports will be appreciated – full details and regular news at the Radio Seagull website. And don’t forget, you can catch my Saturday show on Seagull every week, from 7-9am and 7-9pm CET (that’s 6-8 am and pm in UK/Ireland) featuring the best in indie and alternative rock, with at least 50% of the show devoted to brand new releases, including unsigned bands. I had an hour to spare on Saturday, unexpectedly, and I used it to wander out the North Bull Wall past Dollymount Strand and into the bay. The view from there is urban, across the port to the longer South Wall, and then beyond it to the south city and the Dublin Mountains, but it’s lovely all the same. I’ve biked and walked and climbed over every inch of that city and those hills in my childhood, and they are as much a part of me as my DNA. 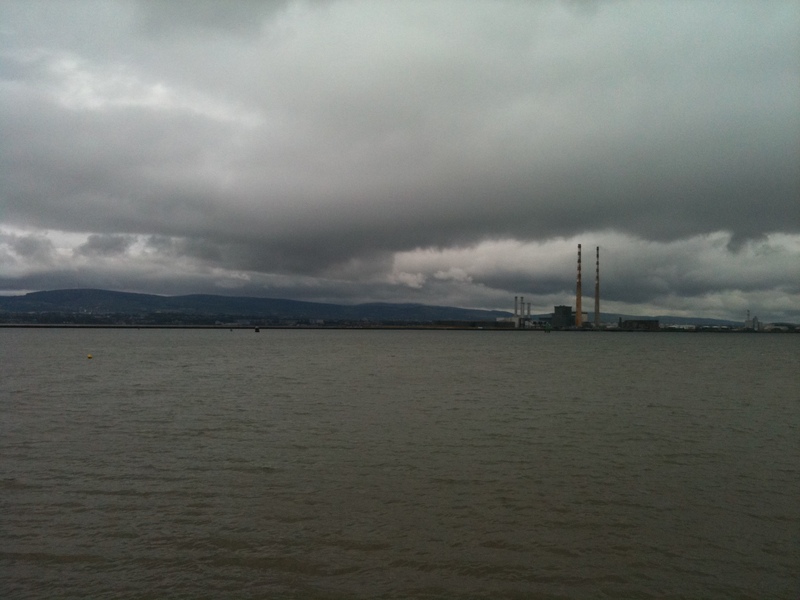 It was a typical “Dublin Day” on Saturday – overcast but not wet, a fresh breeze from the southwest scudding the multitude of low-hanging clouds across the landscape, just scraping the hilltops. It was cool without being cold, and the day held enough promise of rain to deter the noisy crowds who normally throng the beach without actually releasing any rain. The sea, that sky, those hills . . I can remember a thousand Dublin days just like it while growing up. I found a little rock to sit on and just drank all this in for a long time, relishing a moment of passive enjoyment of place which I indulge in far to rarely these days. It was good for recharging the soul. I drive myself too fast to do too many things these days, and forget sometimes to stop and enjoy the smell or the roses, the kiss of the rain on my cheek. A fulltime and senior job in the IT world with much pressure, a book to be written, another half done, short stories and poems bubbling up as well, two radio shows to be planned and recorded each week, and several other projects on the boil. I’m never bored, and I love it, but all the same . . I musn’t forget to feed my soul as well as my career(s). All those years ago, as a schoolboy, I remember enjoying the poetry of Robert Frost. Two poems in particular stuck in my mind through adulthood. “The Road Not Taken” was my favourite, and was both a guide to my choices and a description of my life for many years, and I hope, still now. As a boy I loved it for its description of dark snowy woods, ripe for exploration, and wondered why the adult, who so obviously found them allureing, yet chose not to tarry. But now, in a busy life, I find myself thinking of that last verse much more often, in the full understanding of the adult’s responsibilities that force him to cut short his simple pleasure and drive on. As I sit there looking across the bay at those could-capped hills and the domains of my childhood, I resolve to try to take more “time out” for myself and try to make just a bit of space in a busy world for watching snowy woods. But not now. There is a man I have to meet at 1pm in East Wall, and then its off to Loughlinstown where I have several hours work awaiting me. I get up to walk back to the car, happy that I have just gifted myself a lovely September moment of pleasure. I’d like to stay longer, but I have promises to keep.